BEIJING — China announced it filed a World Trade Organization challenge Monday to U.S. President Donald Trump's latest tariff threat, stepping up its diplomatic efforts to counter U.S. pressure in a spiralling technology dispute. The move is unusually swift, coming less than one week after the U.S. Trade Representative proposed 10-per-cent tariffs on a US$200-billion list of Chinese goods. Those wouldn't take effect until at least September. 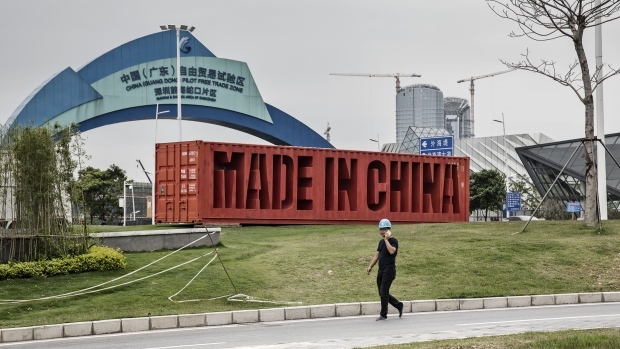 Washington imposed 25-per-cent tariffs on US$34 billion of Chinese goods in response to complaints Beijing steals or pressures companies to hand over technology. Beijing responded immediately by imposing identical penalties on a similar amount of American imports. It has criticized the latest tariff threat but has only about US$80 billion of annual imports left for penalties.